Before digging into OAuth2 using TAG you need run the docker containers of the Movies Microservice and TAG. However, if this is the first time you hear about the movie-api, open the terminal and execute the following command. However, if this is the first time you run TAG, open the terminal and execute the following command. OAuth 2.0 is an authorization framework that enables a third-party application to obtain limited access to an HTTP service. 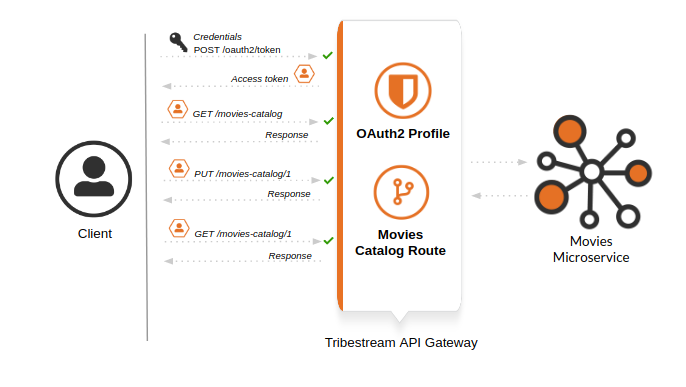 The Tribestream API Gateway will help you to easily configure OAuth2 to protect your microservices using the OAuth2 Profile. TAG will receive your credentials, check them and issue an access token. 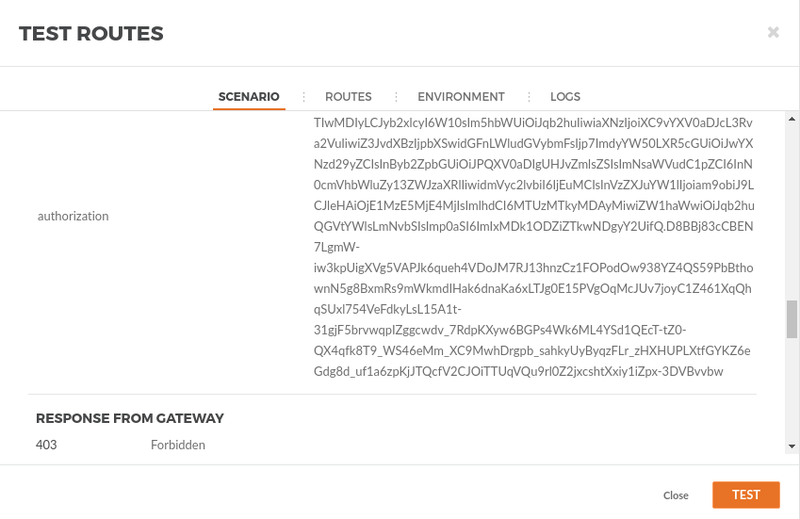 This token can be used to call different routes to microservices multiple times until it expires. 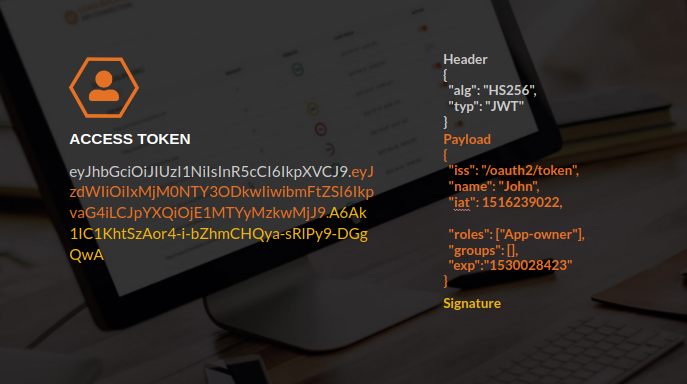 What is JSON Web Token (JWT)? JSON Web Token is an open standard that defines a compact and self-contained way for securely transmitting information between parties as a JSON object. This information can be verified and trusted because it is digitally signed. TAG emits a JWT access tokens. The token is a Base64 encoded JSON that has a header, a payload with the claims and the signature to guarantee data integrity. My name is John and as a streaming application owner, I want populate my Movie Streaming Website with a movies catalog, so users can have access to all the movies we can stream. This catalog is exclusive for USA and cannot be shared with other countries. 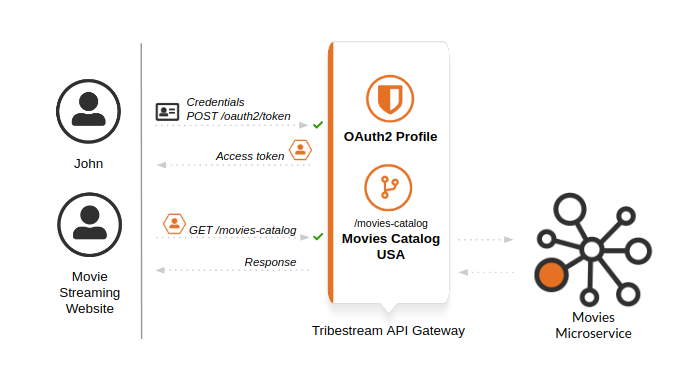 You as a TAG Administrator need to protected an existing Movie Catalog Microservice, this microservice must be available only for USA and accessible for the Movie Streaming Website. First step is to open the browser and navigate to http://localhost:8080/tag. Login into the TAG dashboard using username admin , password admin . After clicking Save you will be redirected to a page with all the streaming-website account information. You also need to create a user for the Streaming Website owner. You will be redirected to the Account page with John’s information. Now you have both the client for the website configured and the user account for John also configured. Now let’s create a secured OAuth2 route to the Movies Catalog Microservice and give access only to applications with the USA role. This means that, if an application has a role different than USA, for example BRA which stands for Brazil, it will not be able to access the route. If you are using OSX as the operating system, replace in MOD_REWRITE localhost for host.docker.internal. After clicking Save you will be on the page of your created route. 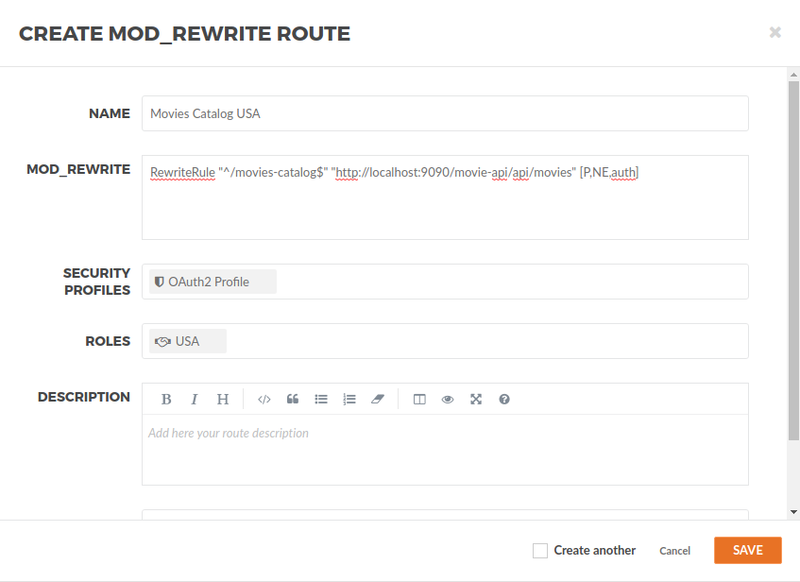 You now have a route /movies-catalog secured with OAuth2 and only calls from accounts with the role USA will be proxied to the Movies Catalog Microservice. 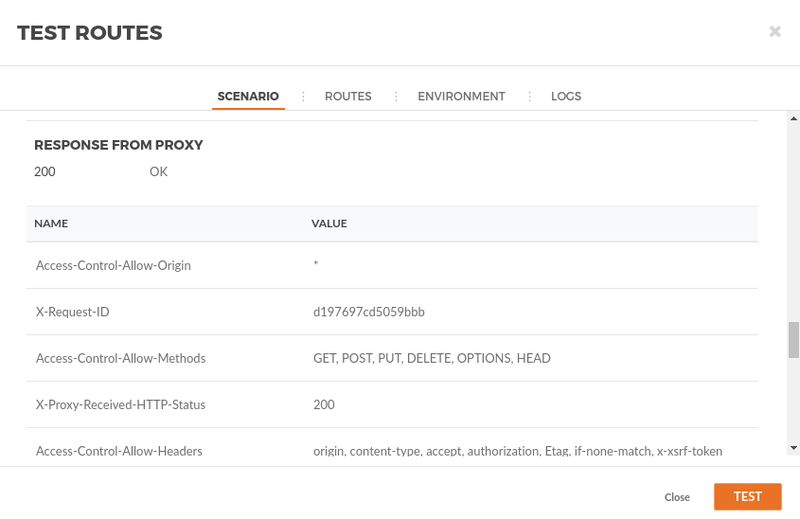 You can test the behavior of the TAG configuration directly from the Route screen. This will open the Test Routes screen, set the Scenario name to Movies Catalog and the Resource URL to /movies-catalog. After that click Test. You will get back a http status 403 and the reason is that the client must have the role USA to be authorized to access the route. So now, scroll to the top and save the test scenario Movies Catalog. Then go back to streaming-website client account to add the role. In the Test Routes window, search for scenario Movies Catalog. You will get saved information back, now click Test. You will now receive a http status 200 in the response, which means you were able to get a token, use this token to call the /movies-catalog and you were authorized to use the route successfully as you had the necessary role to do it. Therefore the request will be proxied and if you check the PAYLOAD, the microservice returned the catalog of movies for the Streaming Website. After executing this tutorial stop all docker images so it does not overload your computer.